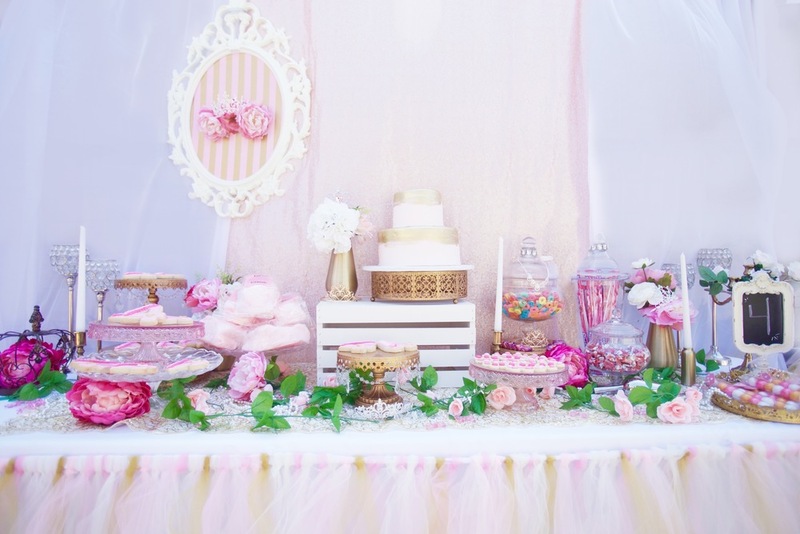 An enchanting dessert station with pink, gold, and crystal clear cake platters, tiaras galore, gold serving trays, brass candle holders, brass vases and gorgeous pre-arranged faux florals. 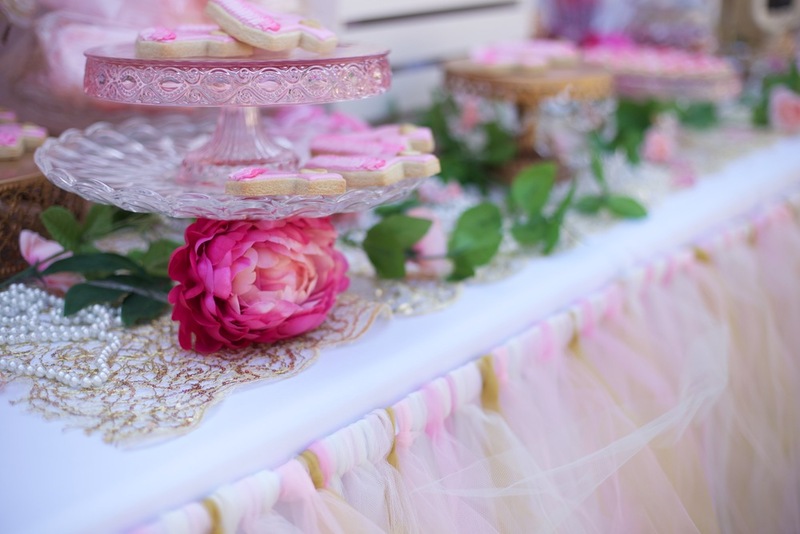 It also comes with linens and a magical tutu table skirt. 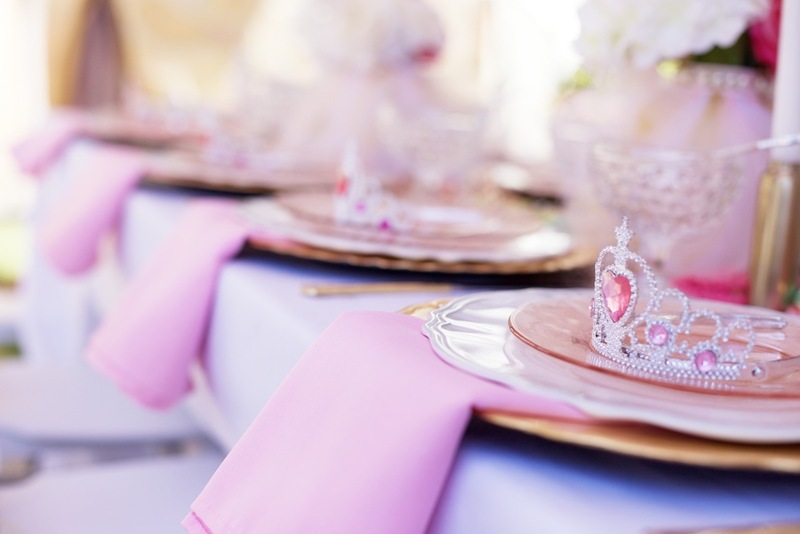 Table setting include gold chargers, white melamine dinner plates, pink vintage glass salad/dessert plates, pink linen napkins, gold flatware, and textured glass drinking goblets. 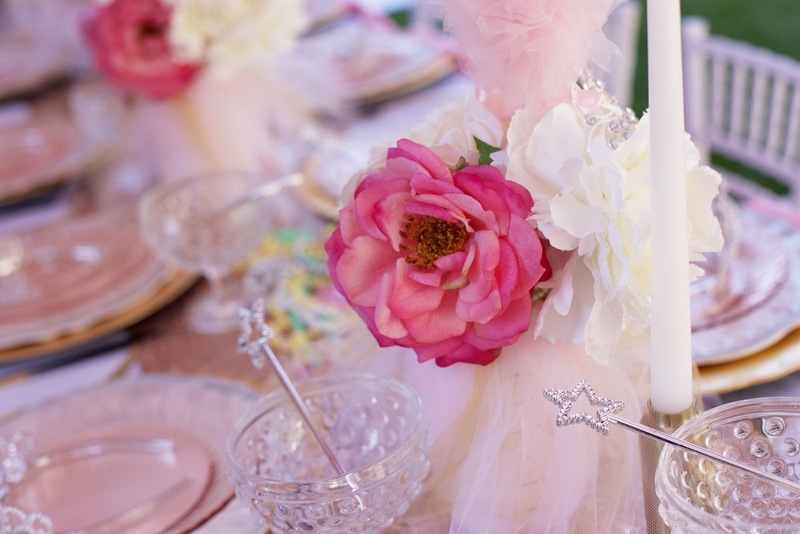 Pre-arranged centerpieces with an elegant tutu lining, stunning and realistic faux flowers, and a sparkling tiara to top it off. Also included gold taper candle holders. 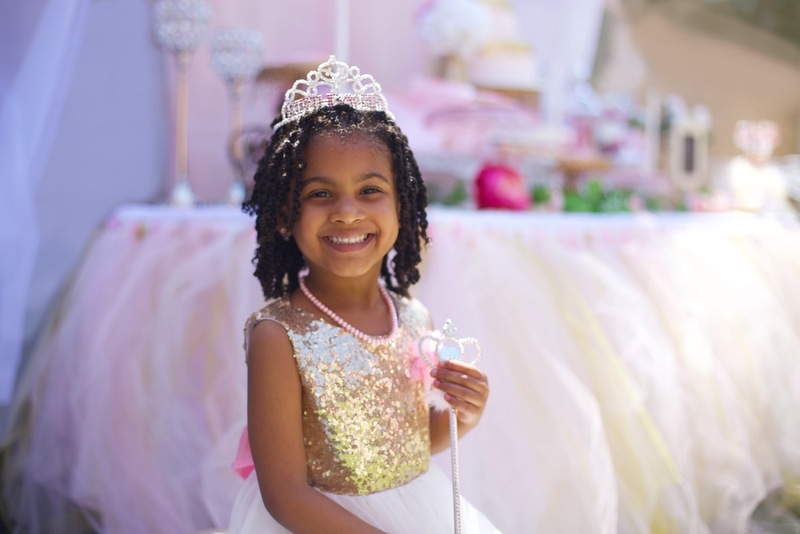 White tablecloths with a glittering rose gold sequins table runner. 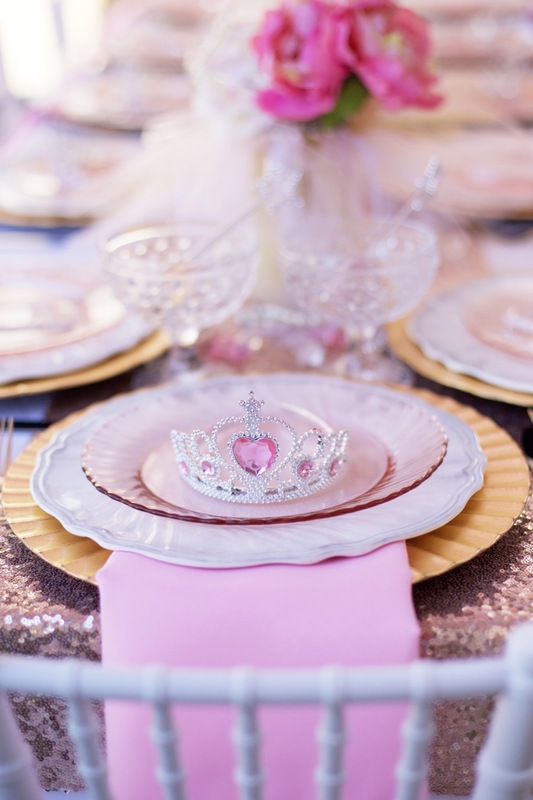 Pink & gold framed flowers and tiara. 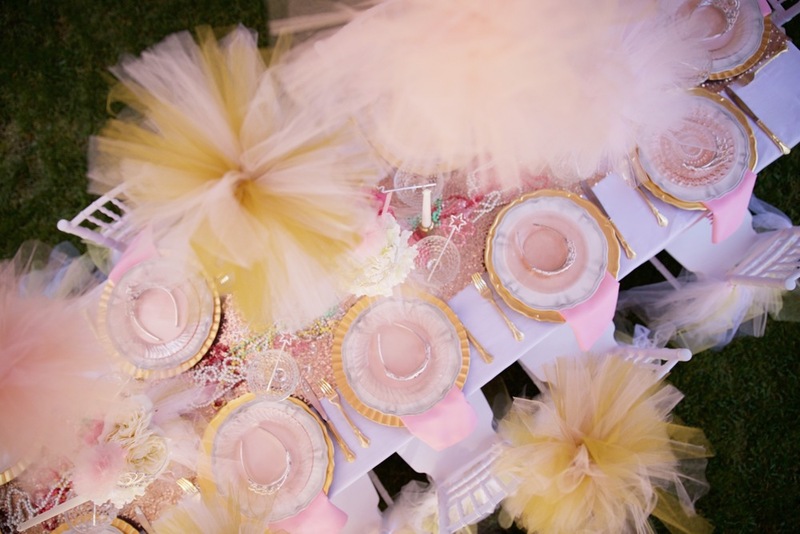 Pink, gold, and white tutus to tie around the chairs for every princess in attendance. 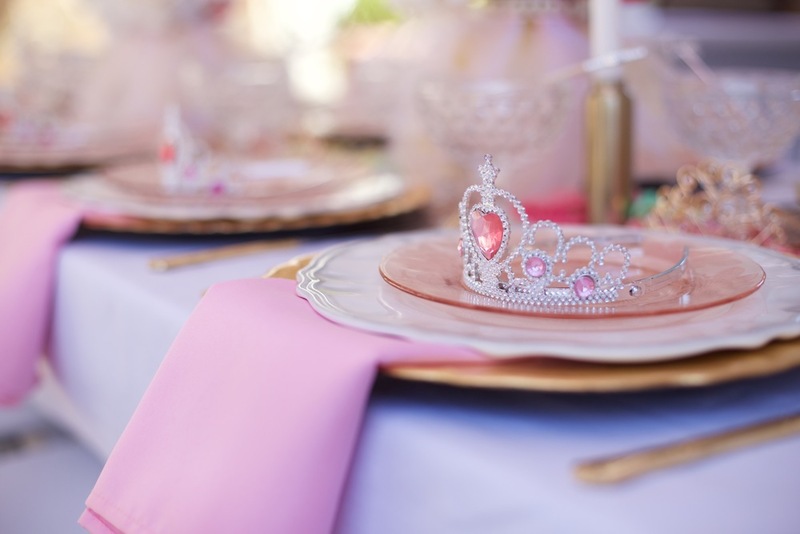 Princess wands and costume jewelry for added decor.